Tagging animals with an electronic (EID) tag provides an opportunity to better manage the individual performance of those animals. 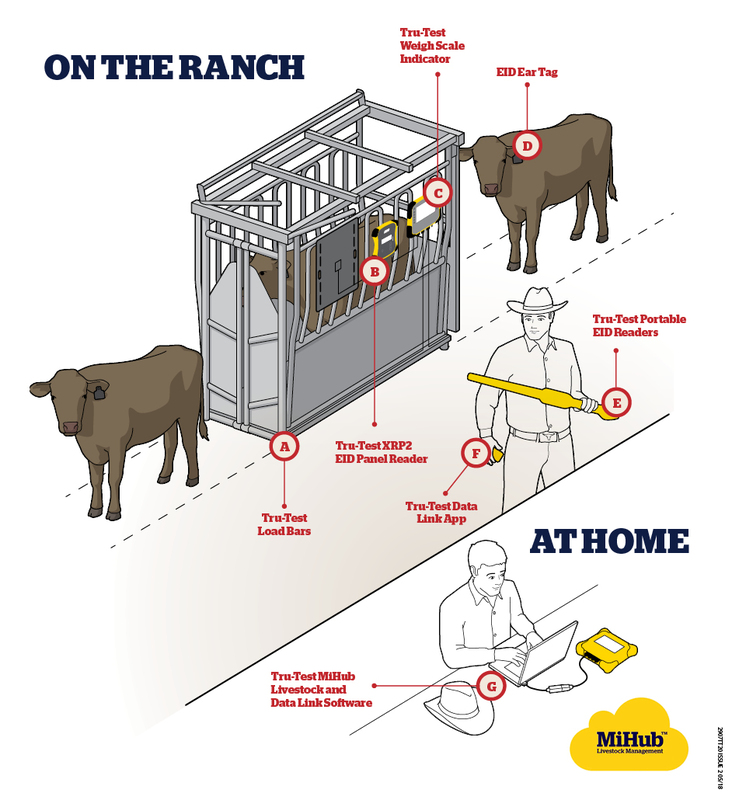 Tru-Test EID readers deliver information about your livestock rapidly, by reading electronic ear tags on animals that are on a weigh platform, or running through a race. Individual animal information captured against EID tags can help inform your animal health, mating and culling decisions. All Tru-Test EID readers are rugged, reliable, 100% water and dust proof. Suitable for cattle, sheep and deer applications. Tru-Test offers portable ERS, SRS2 or XRS2 EID Stick Readers or the fixed XRP2 EID Panel Reader which has antenna options for cattle and small livestock setups. Want to know more about the benefits of EID? Click here to learn more about measuring to increase your profits, or select one of our Weighing product categories below.